I pondered what to do with all of these. 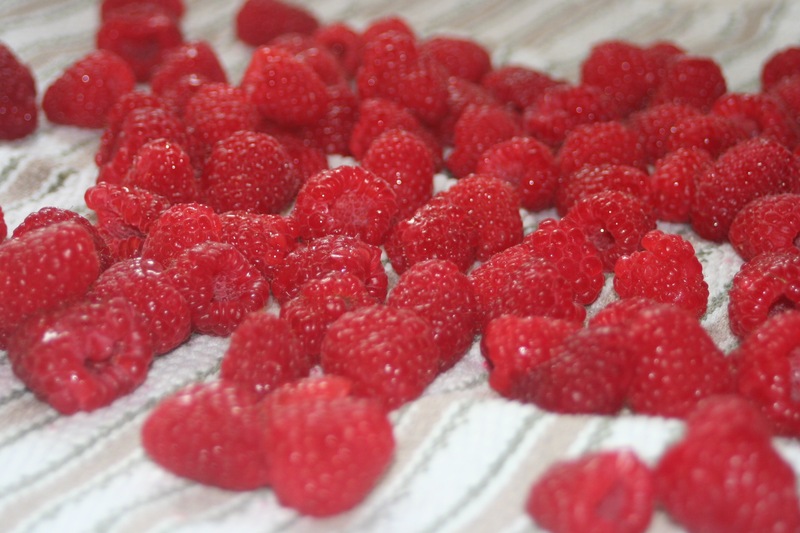 I love raspberries fresh. I love them on cereal, yogurt, salad, ice cream, waffles, etc. However, we all know they don’t last long once they have been picked. I kept 2 containers out & froze the rest. I considered jam/preserves for about 30 seconds. I Googled the procedure and once I learned that I would have to buy all kinds of canning/jarring equipment, that idea was out the window. LOL!! 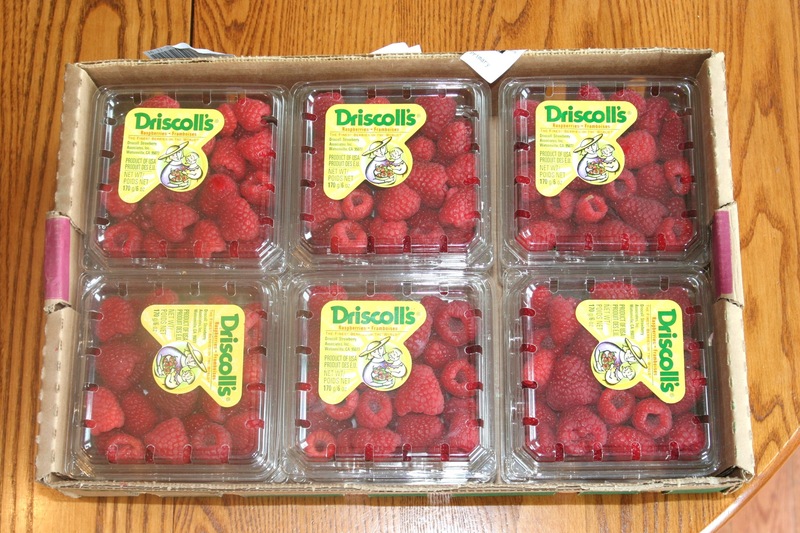 I Googled how to freeze the berries and it was super simple. I figure now I can use them for baking, smoothies, ice cream, cereal, pancakes, etc. 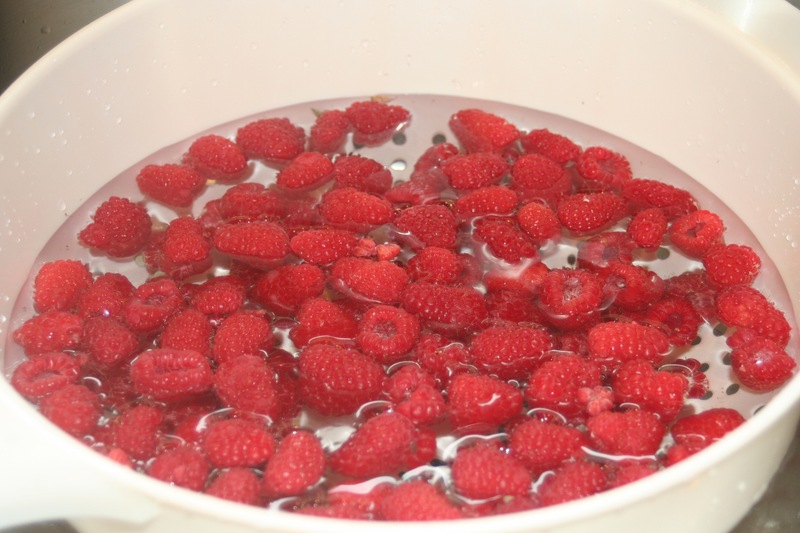 I washed the berries first by dipping them in cold water in a colander. 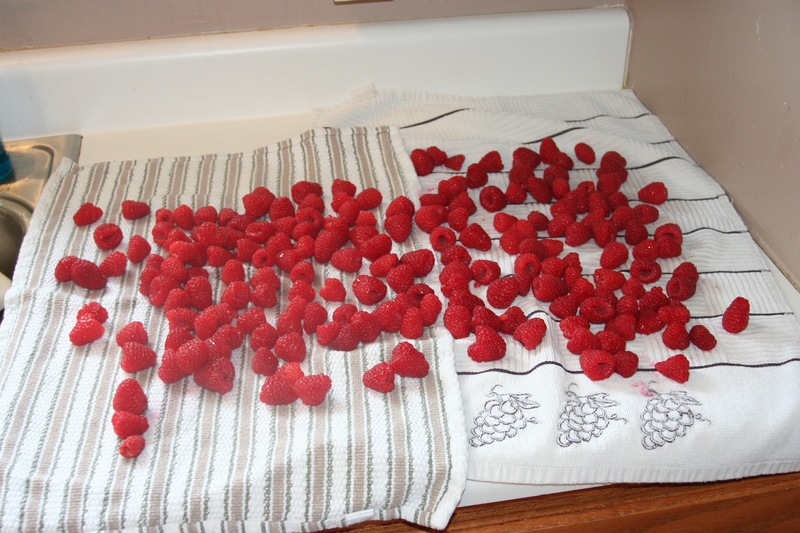 Then I spread them out over a few dishtowels to dry. Then I spread over a few cookie sheets in a single layer and placed in the freezer. They need to stay like that for 24 hours and then they can be placed in a bag or Tupperware container. 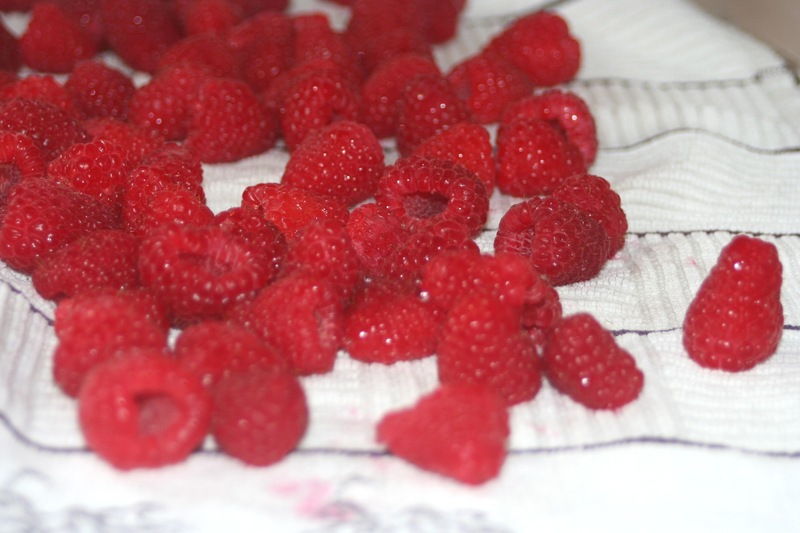 I just transferred the berries to their new homes, a Ziplock bag and snagged a few frozen ones to chomp on. YUM!! I could used these as ice cubes in seltzer, too! I may even go back & buy more this week. 🙂 As I always say, best thing about fresh fruit & veggies are that they are naturally gluten-free!